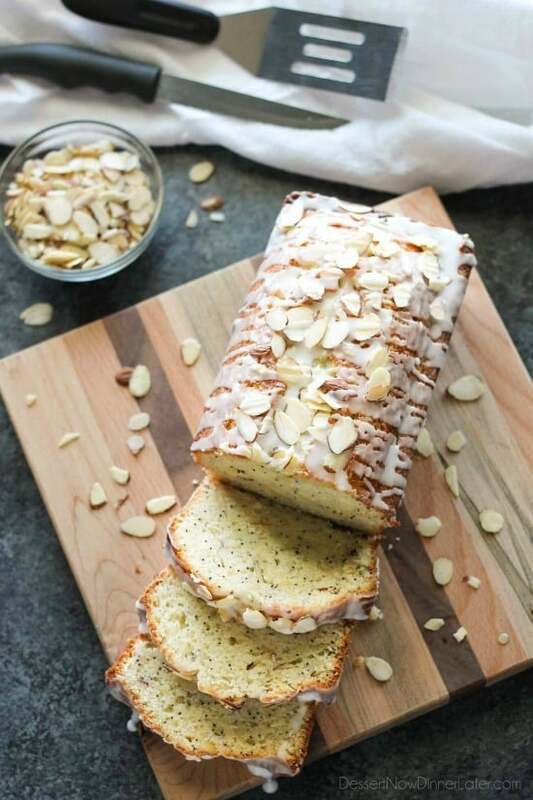 Almond Poppy Seed Bread - Dessert Now, Dinner Later! 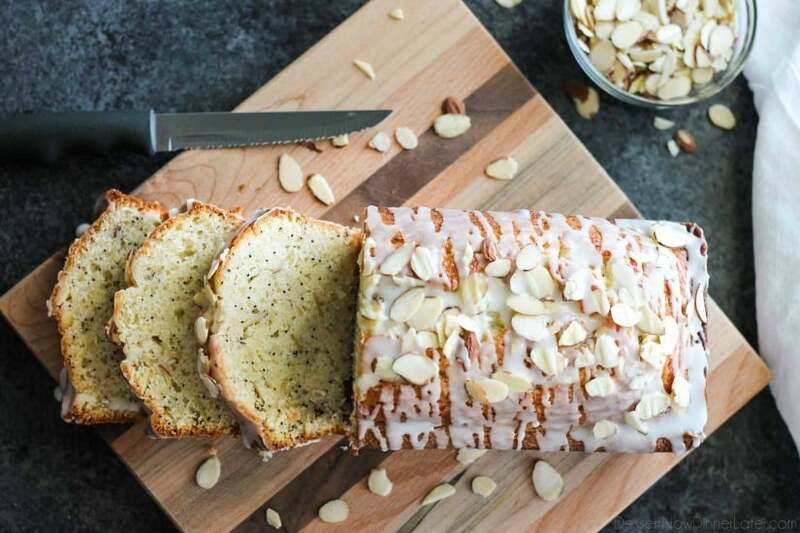 This Almond Poppy Seed Bread recipe has a sweet almond flavor inside and out, and is perfectly moist and delicious. 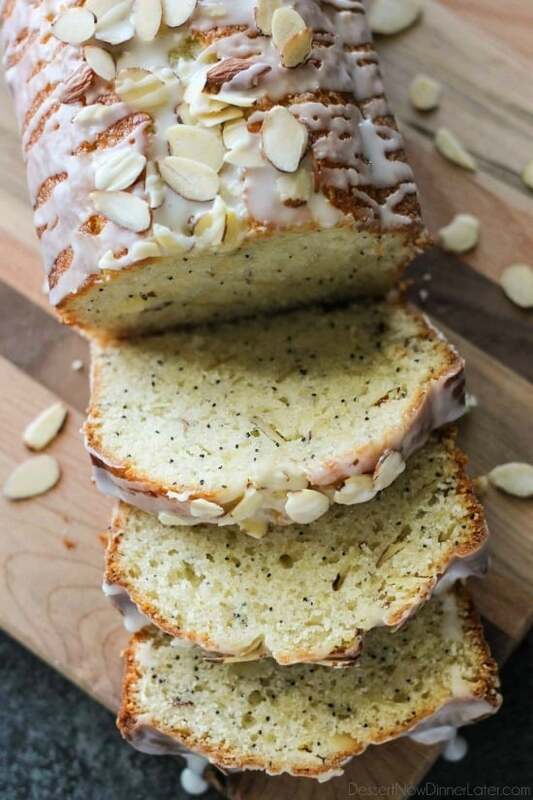 I’ve only made a couple of new recipes lately, and I should probably spread them out, but I’m just too excited to share this Almond Poppy Seed Bread with you! You know those picture-perfect loaves of tasty sweet bread at the stores? 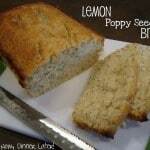 This is Almond Poppy Seed bread is like those, but homemade! Not only is it delicious, but I got to use the other side of my gorgeous Erickson Woodworks board for these photos. This one is dark and moody and I love it! It’s called “dark concrete.” The other side is “light concrete” and I used it for my Butterscotch Cookies. I’m just geeking out about how it makes my food “pop.” It looks tasty right? The thing I love about quick breads, is that they are “quick” to whip up. You literally mix a few ingredients and throw them in a pan. The hard part is waiting an hour for it to bake, then you have to wait for it to cool so you can pop it out of the pan, glaze it, slice it, and scarf it. — Er, I mean, taste it. I had a big bag of sliced almonds, so I put extra almonds in the batter, but you don’t have to have them. 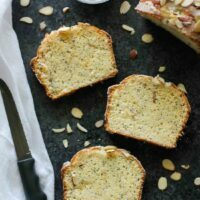 You can just use almond extract inside the batter and glaze and still have a wonderfully flavorful almond poppy seed bread. This is one of my favorite flavors because almond extract is so yummy! I want to put it in everything! Enjoy my friends! Grease and flour two large bread pans. 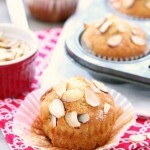 Mix all of the ingredients together with a whisk in a large bowl (fold in sliced almonds last). Divide batter evenly among two pans. Bake at 350 degrees Fahrenheit for 50 to 60 minutes. NOTE: Dark metal pans require less baking time at a lower temperature (325 degrees Fahrenheit). Allow bread to cool in pan for 10 minutes before inverting onto a wire rack. Cool completely. Mix all the ingredients for glaze (besides the sliced almonds) in a small bowl. 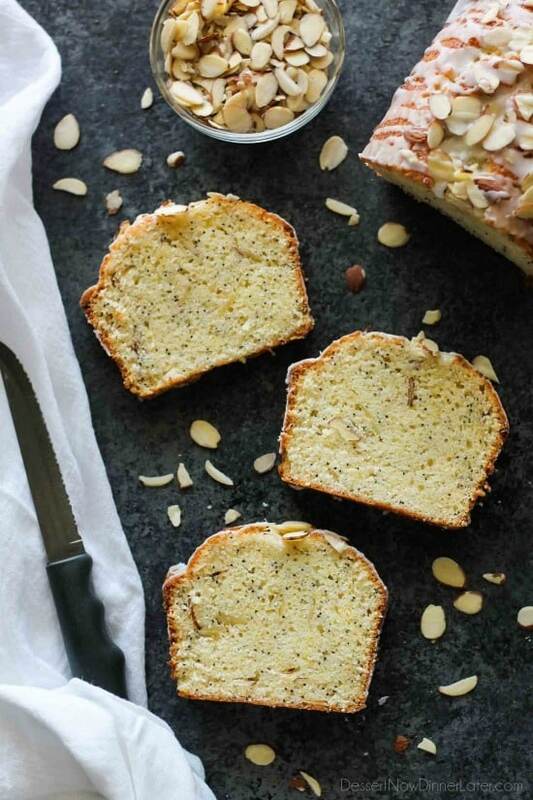 Drizzle over the bread and immediately sprinkle with sliced almonds. 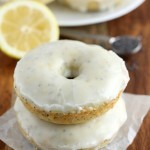 Allow glaze to set before slicing. Store sliced bread in an airtight container up to 5 days. I love a good quick bread! I wish I had a slice of this bread to go with my coffee! 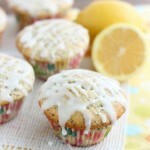 Love quick bread too! Thanks Jess!